The Upanishads (Sanskrit: Upaniṣad; IPA: [ʊpən̪ɪʂəd̪]) are a collection of texts that contain some of the central philosophical concepts of Hinduism, some of which are shared with Buddhism, Jainism and Sikhism. [note 1][note 2] The Upanishads are considered by Hindus to contain utterances (śruti) concerning the nature of ultimate reality (brahman) and describing the character of and path to human salvation (mokṣa or mukti). The Upanishads are commonly referred to as Vedānta, variously interpreted to mean either the "last chapters, parts of the Veda" or "the object, the highest purpose of the Veda". The concepts of Brahman (Ultimate Reality) and Ātman (Soul, Self) are central ideas in all the Upanishads, and "Know your Ātman" their thematic focus. The Upanishads are the foundation of Hindu philosophical thought and its diverse traditions. Of the Vedic corpus, they alone are widely known, and the central ideas of the Upanishads are at the spiritual core of Hindus. More than 200 Upanishads are known, of which the first dozen or so are the oldest and most important and are referred to as the principal or main (mukhya) Upanishads. The mukhya Upanishads are found mostly in the concluding part of the Brahmanas and Aranyakas and were, for centuries, memorized by each generation and passed down orally. The early Upanishads all predate the Common Era, five[note 3] of them in all likelihood pre-Buddhist (6th century BCE), down to the Maurya period. Of the remainder, some 95 Upanishads are part of the Muktika canon, composed from about the last centuries of 1st-millennium BCE through about 15th-century CE. New Upanishads, beyond the 108 in the Muktika canon, continued to be composed through the early modern and modern era, though often dealing with subjects which are unconnected to the Vedas. The Sanskrit term Upaniṣad (u = at, pa = foot, nishat =sitting down) translates to "sitting at the foot/feet of", referring to the student sitting down near the teacher while receiving esoteric knowledge. Monier-Williams' Sanskrit Dictionary adds that, "According to native authorities Upanishad means 'setting to rest ignorance by revealing the knowledge of the supreme spirit.'" Adi Shankara explains in his commentary on the Kaṭha and Brihadaranyaka Upanishad that the word means Ātmavidyā, that is, "knowledge of the Self", or Brahmavidyā "knowledge of Brahma". Other dictionary meanings include "esoteric doctrine" and "secret doctrine". The word appears in the verses of many Upanishads, such as the fourth verse of the 13th volume in first chapter of the Chandogya Upanishad. Max Muller as well as Paul Deussen translate the word Upanishad in these verses as "secret doctrine", Robert Hume translates it as "mystic meaning", while Patrick Olivelle translates it as "hidden connections". The authorship of most Upanishads is uncertain and unknown. Radhakrishnan states, "almost all the early literature of India was anonymous, we do not know the names of the authors of the Upanishads". The ancient Upanishads are embedded in the Vedas, which some traditionally consider to be apauruṣeya, which means "not of a man, superhuman" and "impersonal, authorless". The Vedic texts themselves assert that they were skillfully created by Rishis (sages), after inspired creativity, just as a carpenter builds a chariot. The various philosophical theories in the early Upanishads have been attributed to famous sages such as Yajnavalkya, Uddalaka Aruni, Shvetaketu, Shandilya, Aitareya, Balaki, Pippalada and Sanatkumara. Women, such as Maitreyi and Gargi participate in the dialogues and are also credited in the early Upanishads. There are exceptions to the anonymous tradition of the Upanishads and other Vedic literature. The Shvetashvatara Upanishad, for example, includes closing credits to sage Shvetashvatara, and he is considered the author of the Upanishad. 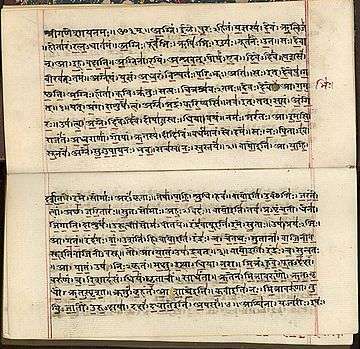 Scholars believe that early Upanishads, were interpolated and expanded over time, because of the differences within manuscripts of the same Upanishad discovered in different parts of South Asia, differences in non-Sanskrit version of the texts that have survived, and differences within each text in terms of the meter, the style, the grammar and the structure. The texts as they exist now are believed to be the work of many authors. Scholars are uncertain about the exact centuries in which the Upanishads were composed. The chronology of the early Upanishads is difficult to resolve, states philosopher and Sanskritist Stephen Phillips, because all opinions rest on scanty evidence and analysis of archaism, style and repetitions across texts, and are driven by assumptions about likely evolution of ideas, and presumptions about which philosophy might have influenced which other Indian philosophies. Indologist Patrick Olivelle says that "in spite of claims made by some, in reality, any dating of these documents [early Upanishads] that attempts a precision closer than a few centuries is as stable as a house of cards". Some scholars have sought to analyse similarities between Hindu Upanishads and Buddhist literature to establish chronology for the Upanishads. The later Upanishads numbering about 95, also called minor Upanishads, are dated from the late 1st-millennium BCE to mid 2nd-millennium CE. Gavin Flood dates many of the twenty Yoga Upanishads to be probably from the 100 BCE to 300 CE period. Patrick Olivelle and other scholars date seven of the twenty Sannyasa Upanishads to likely have been complete sometime between the last centuries of the 1st-millennium BCE to 300 CE. About half of the Sannyasa Upanishads were likely composed in 14th- to 15th-century CE. The general area of the composition of the early Upanishads was northern India, the region bounded on the west by the upper Indus valley, on the east by lower Ganges region, on the north by the Himalayan foothills, and on the south by the Vindhya mountain range. There is confidence about the early Upanishads being the product of the geographical center of ancient Brahmanism, comprising the regions of Kuru-Panchala and Kosala-Videha together with the areas immediately to the south and west of these. This region covers modern Bihar, Nepal, Uttar Pradesh, Uttarakhand, Himachal Pradesh, Haryana, eastern Rajasthan and northern Madhya Pradesh. While significant attempts have been made recently to identify the exact locations of the individual Upanishads, the results are tentative. Witzel identifies the center of activity in the Brihadaranyaka Upanishad as the area of Videha, whose king, Janaka, features prominently in the Upanishad. The Chandogya Upanishad was probably composed in a more Western than an Eastern location in Indian subcontinent, possibly somewhere in the western region of the Kuru-Panchala country. Compared to the Principal Upanishads, the new Upanishads recorded in the Muktikā belong to an entirely different region, probably southern India, and are considerably relatively recent. In fourth chapter of the Kaushitaki Upanishad, a location named Kashi (modern Varanasi) is mentioned. There are more than 200 known Upanishads, one of which, Muktikā Upanishad, predates 1656 CE and contains a list of 108 canonical Upanishads, including itself as the last. The earliest ones such as the Brihadaranyaka and Chandogya Upanishads date to the early centuries of the 1st millennium BCE, and the latest to around the mid 2nd-millennium CE during a period of Islamic invasions and political instability. Various scholars include the earliest 10, 11, 12 or 13 Upanishads as Mukhya (major) or Principal Upanishads, all composed in the 1st-milliennium BCE. The remainder 95 to 98 are called "minor Upanishads", and were likely composed between the last centuries of the 1st-millennium BCE and about mid 2nd-millennium CE. These are further divided into Upanishads associated with Shaktism (goddess Shakti), Sannyasa (renunciation, monastic life), Shaivism (god Shiva), Vaishnavism (god Vishnu), Yoga, and Sāmānya (general, sometimes referred to as Samanya-Vedanta). The Aitareya, Kauṣītaki and Taittirīya Upanishads may date to as early as the mid 1st millennium BCE, while the remnant date from between roughly the 4th to 1st centuries BCE, roughly contemporary with the earliest portions of the Sanskrit epics. It is alleged that the Aitareya, Taittiriya, Kausitaki, Mundaka, Prasna, and Katha Upanishads show Buddha's influence, and must have been composed after the 5th century BCE, but it could just as easily have been the other way around. It is also alleged that in the first two centuries A.D., they were followed by the Kena, Mandukya and Isa Upanishads, but other scholars date these earlier. Not much is known about the authors except for those, like Yajnavalkayva and Uddalaka, mentioned in the texts. A few women discussants, such as Gargi and Maitreyi, the wife of Yajnavalkayva, also feature occasionally. There is no fixed list of the Upanishads as newer ones, beyond the Muktika anthology of 108 Upanishads, have continued to be discovered and composed. In 1908, for example, four previously unknown Upanishads were discovered in newly found manuscripts, and these were named Bashkala, Chhagaleya, Arsheya and Saunaka, by Friedrich Schrader, who attributed them to the first prose period of the Upanishads. The text of three, the Chhagaleya, Arsheya and Saunaka, were incomplete and inconsistent, likely poorly maintained or corrupted. In similar fashion, Vedic gods such as the Agni, Aditya, Indra, Rudra, Visnu, Brahma and others become equated in the Upanishads to the supreme, immortal and incorporeal Brahman-Atman of the Upanishads, god becomes synonymous with Self, and is declared to be everywhere, inmost being of each human being and within every living creature. The one reality or ekam sat of the Vedas becomes the ekam eva advitiyam or "the one and only and sans a second" in the Upanishads. Brahman-Atman and Self-realization develops, in the Upanishad, as the means to moksha (liberation, freedom in this life or after-life). 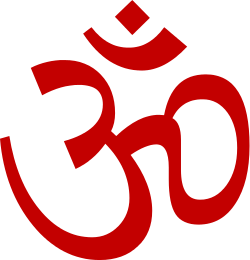 Atman is the predominantly discussed topic in the Upanishads, but they express two distinct, somewhat divergent themes. Some state that Brahman (Highest Reality, Universal Principle, Being-Consciousness-Bliss) is identical with Atman, while others state Atman is part of Brahman but not identical. This ancient debate flowered into various dual, non-dual theories in Hinduism. The Brahmasutra by Badarayana (~ 100 BCE) synthesized and unified these somewhat conflicting theories, stating that Atman and Brahman are different in some respects particularly during the state of ignorance, but at the deepest level and in the state of Self-realization, Atman and Brahman are identical, non-different. The idea put forth by the Upanishadic seers that Atman and Brahman are One and the same is one of the greatest contributions made to the thought of the world. Shankara in his discussions of the Advaita Vedanta philosophy referred to the early Upanishads to explain the key difference between Hinduism and Buddhism, stating that Hinduism asserts "Atman (Soul, Self) exists", while Buddhism asserts that there is "no Soul, no Self". The second school of Vedanta is the Vishishtadvaita, which was founded by Ramanuja (1017–1137 CE). Ramanuja disagreed with Adi Shankara and the Advaita school. Visistadvaita is a synthetic philosophy bridging the monistic Advaita and theistic Dvaita systems of Vedanta. Ramanuja frequently cited the Upanishads, and stated that Vishishtadvaita is grounded in the Upanishads. Ramanuja's Vishishtadvaita interpretation of the Upanishad is a qualified monism. Ramanuja interprets the Upanishadic literature to be teaching a body-soul theory, states Jeaneane Fowler – a professor of Philosophy and Religious Studies, where the Brahman is the dweller in all things, yet also distinct and beyond all things, as "the Soul, the Inner Controller, the Immortal". The Upanishads, according to the Vishishtadvaita school, teach individual souls to be of the same quality as the Brahman, but quantitatively they are distinct. In the Vishishtadvaita school, the Upanishads are interpreted to be teaching a Ishwar (Vishnu), which is the seat of all auspicious qualities, with all of the empirically perceived world as the body of God who dwells in everything. The school recommends a devotion to godliness and constant remembrance of the beauty and love of personal god. This ultimately leads one to the oneness with abstract Brahman. The Brahman in the Upanishads is a living reality, states Fowler, and "the Atman of all things and all beings" in Ramanuja's interpretation. 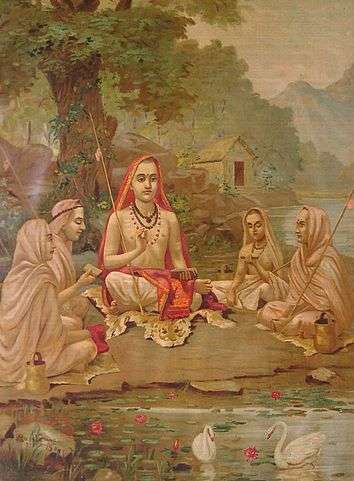 The third school of Vedanta called the Dvaita school was founded by Madhvacharya (1199–1278 CE). It is regarded as a strongly theistic philosophic exposition of Upanishads. Madhvacharya, much like Adi Shankara claims for Advaita, and Ramanuja claims for Vishishtadvaita, states that his theistic Dvaita Vedanta is grounded in the Upanishads. Ramanuja's Vishishtadvaita school and Shankara's Advaita school are both nondualism Vedanta schools, both are premised on the assumption that all souls can hope for and achieve the state of blissful liberation; in contrast, Madhvacharya believed that some souls are eternally doomed and damned. However other scholars, such as Arthur Berriedale Keith, J. Burnet and A.R. Wadia, believe that the two systems developed independently. They note that there is no historical evidence of the philosophers of the two schools meeting, and point out significant differences in the stage of development, orientation and goals of the two philosophical systems. Wadia writes that Plato's metaphysics were rooted in this life and his primary aim was to develop an ideal state. In contrast, Upanishadic focus was the individual, the self (atman, soul), self-knowledge, and the means of an individual's moksha (freedom, liberation in this life or after-life). The first German translation appeared in 1832 and Roer's English version appeared in 1853. However, Max Mueller's 1879 and 1884 editions were the first systematic English treatment to include the 12 Principal Upanishads. Other major translations of the Upanishads have been by Robert Ernest Hume (13 Principal Upanishads), Paul Deussen (60 Upanishads), Sarvepalli Radhakrishnan (18 Upanishads), and Patrick Olivelle (32 Upanishads in two books). 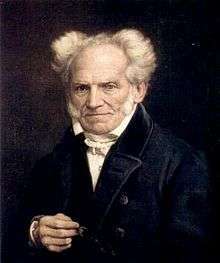 German philosopher Arthur Schopenhauer, impressed by the Upanishads, called the texts "the production of the highest human wisdom". ↑ These include rebirth, karma, moksha, ascetic techniques and renunciation. ↑ The Upanishadic, Buddhist and Jain renunciation traditions form parallel traditions, which share some common concepts and interests. While Kuru-Panchala, at the central Ganges Plain, formed the center of the early Upanishadic tradition, Kosala-Magadha at the central Ganges Plain formed the center of the other shramanic traditions. ↑ The pre-Buddhist Upanishads are: Brihadaranyaka, Chandogya, Kaushitaki, Aitareya, and Taittiriya Upanishads. ↑ Advaita Vedanta, summarized by Shankara (788–820), advances a non-dualistic (a-dvaita) interpretation of the Upanishads." ↑ "These Upanishadic ideas are developed into Advaita monism. Brahman's unity comes to be taken to mean that appearances of individualities. ↑ "The doctrine of advaita (non dualism) has is origin in the Upanishads." ↑ The Muktika manuscript found in colonial era Calcutta is the usual default, but other recensions exist. 1 2 Some scholars list ten as principal, while most consider twelve or thirteen as principal mukhya Upanishads. ↑ Oliville: "In this Introduction I have avoided speaking of 'the philosophy of the upanishads', a common feature of most introductions to their translations. These documents were composed over several centuries and in various regions, and it is futile to try to discover a single doctrine or philosophy in them." ↑ According to Collins, the breakdown of the Vedic cults is more obscured by retrospective ideology than any other period in Indian history. It is commonly assumed that the dominant philosophy now became an idealist monism, the identification of atman (self) and Brahman (Spirit), and that this mysticism was believed to provide a way to transcend rebirths on the wheel of karma. This is far from an accurate picture of what we read in the Upanishads. It has become traditional to view the Upanishads through the lens of Shankara's Advaita interpretation. This imposes the philosophical revolution of about 700 C.E. upon a very different situation 1,000 to 1,500 years earlier. Shankara picked out monist and idealist themes from a much wider philosophical lineup. 1 2 3 Olivelle 1998, p. xxiii. 1 2 Mahadevan 1956, p. 59. 1 2 Wendy Doniger (1990), Textual Sources for the Study of Hinduism, 1st Edition, University of Chicago Press, ISBN 978-0226618470, pages 2-3; Quote: "The Upanishads supply the basis of later Hindu philosophy; they alone of the Vedic corpus are widely known and quoted by most well-educated Hindus, and their central ideas have also become a part of the spiritual arsenal of rank-and-file Hindus." 1 2 Mahadevan 1956, p. 56. 1 2 3 4 King 1995, p. 52. 1 2 3 4 5 Olivelle 1992, pp. 5, 8–9. 1 2 3 Flood 1996, p. 96. ↑ Ranade 1926, p. 12. 1 2 Varghese 2008, p. 101. ↑ Ranade 1926, p. 205. ↑ Cornille 1992, p. 12. ↑ Phillips 1995, p. 10. ↑ Deussen 2010, p. 42, Quote: "Here we have to do with the Upanishads, and the world-wide historical significance of these documents cannot, in our judgement, be more clearly indicated than by showing how the deep fundamental conception of Plato and Kant was precisely that which already formed the basis of Upanishad teaching"..
↑ Ben-Ami Scharfstein (1998). A Comparative History of World Philosophy: From the Upanishads to Kant. State University of New York Press. pp. 62–74. ISBN 978-0-7914-3683-7. ↑ Jones, Constance (2007). Encyclopedia of Hinduism. New York: Infobase Publishing. p. 472. ISBN 0816073368. ↑ Mahadevan 1956, pp. 59-60. 1 2 3 Olivelle 1998, p. 12-13. ↑ Olivelle 1998, p. xxxviii. ↑ Olivelle 1998, p. xxxix. ↑ Deussen 1908, pp. 35–36. ↑ Tripathy 2010, p. 84. ↑ Sen 1937, p. 19. ↑ Sharma 1985, pp. 3, 10–22, 145. 1 2 Deussen, Bedekar & Palsule (tr.) 1997, pp. 556-568. ↑ Olivelle 1992, pp. x-xi, 8-11. ↑ Ayyangar, T. R. Srinivasa (1941). The Samanya-Vedanta Upanisads. Jain Publishing (Reprint 2007). ISBN 978-0895819833. OCLC 27193914. ↑ Holdrege 1995, pp. 426. ↑ Srinivasan, Doris (1997). Many Heads, Arms, and Eyes. BRILL Academic. pp. 112–120. ISBN 978-9004107588. ↑ Ayyangar, TRS (1953). Saiva Upanisads. Jain Publishing Co. (Reprint 2007). pp. 194–196. ISBN 978-0895819819. ↑ Olivelle 1998, pp. 3–4. ↑ Ranade 1926, p. 61. ↑ Joshi 1994, pp. 90–92. ↑ Heehs 2002, p. 85. ↑ Lal 1992, p. 4090. ↑ Rinehart 2004, p. 17. ↑ Singh 2002, pp. 3–4. 1 2 Schrader & Adyar Library 1908, p. v.
1 2 3 4 5 6 7 Olivelle 1998, pp. xxxii-xxxiii. ↑ Brooks 1990, pp. 13–14. 1 2 3 4 Parmeshwaranand 2000, pp. 404–406. ↑ Glucklich 2008, p. 70. ↑ Fields 2001, p. 26. 1 2 Olivelle 1998, p. 4. 1 2 3 4 Mahadevan 1956, p. 57. 1 2 3 Jayatilleke 1963, p. 32. ↑ Jayatilleke 1963, pp. 36-39. 1 2 [a] Richard King (1995), Early Advaita Vedanta and Buddhism, State University of New York Press, ISBN 978-0791425138, page 64, Quote: "Atman as the innermost essence or soul of man, and Brahman as the innermost essence and support of the universe. (...) Thus we can see in the Upanishads, a tendency towards a convergence of microcosm and macrocosm, culminating in the equating of Atman with Brahman". [b] Chad Meister (2010), The Oxford Handbook of Religious Diversity, Oxford University Press, ISBN 978-0195340136, page 63; Quote: "Even though Buddhism explicitly rejected the Hindu ideas of Atman (“soul”) and Brahman, Hinduism treats Sakyamuni Buddha as one of the ten avatars of Vishnu." ↑ Lanman 1897, p. 790. ↑ Brown 1922, p. 266. ↑ Slater 1897, p. 32. ↑ Varghese 2008, p. 132. ↑ Mahadevan 1956, pp. 62-63. ↑ Radhakrishnan 1956, p. 272. ↑ Raju 1992, p. 176-177. ↑ Ranade 1926, pp. 179–182. ↑ Mahadevan 1956, p. 63. ↑ Radhakrishnan 1956, p. 273. 1 2 King 1999, p. 221. 1 2 Nakamura 2004, p. 31. ↑ King 1999, p. 219. 1 2 Collins 2000, p. 195. ↑ Radhakrishnan 1956, p. 284. ↑ Edward Roer (Translator), Shankara's Introduction, p. 3, at Google Books to Brihad Aranyaka Upanishad at pages 3-4; Quote - "(...) Lokayatikas and Bauddhas who assert that the soul does not exist. There are four sects among the followers of Buddha: 1. Madhyamicas who maintain all is void; 2. Yogacharas, who assert except sensation and intelligence all else is void; 3. Sautranticas, who affirm actual existence of external objects no less than of internal sensations; 4. Vaibhashikas, who agree with later (Sautranticas) except that they contend for immediate apprehension of exterior objects through images or forms represented to the intellect." ↑ Panikkar 2001, p. 669. ↑ Panikkar 2001, pp. 725–727. ↑ Panikkar 2001, pp. 747–750. ↑ Panikkar 2001, pp. 697–701. ↑ Klostermaier 2007, pp. 361–363. 1 2 Chari 1956, p. 305. 1 2 3 4 Jeaneane D. Fowler (2002). Perspectives of Reality: An Introduction to the Philosophy of Hinduism. Sussex Academic Press. pp. 298–299, 320–321, 331 with notes. ISBN 978-1-898723-93-6. ↑ William M. Indich (1995). Consciousness in Advaita Vedanta. Motilal Banarsidass. pp. 1–2, 97–102. ISBN 978-81-208-1251-2. ↑ Bruce M. Sullivan (2001). The A to Z of Hinduism. Rowman & Littlefield. p. 239. ISBN 978-0-8108-4070-6. ↑ Sharma, Chandradhar (1994). A Critical Survey of Indian Philosophy. Motilal Banarsidass. pp. 373–374. ISBN 81-208-0365-5. ↑ Jon Paul Sydnor (2012). Ramanuja and Schleiermacher: Toward a Constructive Comparative Theology. Casemate. pp. 20–22 with footnote 32. ISBN 978-0227680247. ↑ Raghavendrachar 1956, p. 322. 1 2 Jeaneane D. Fowler (2002). Perspectives of Reality: An Introduction to the Philosophy of Hinduism. Sussex Academic Press. pp. 356–357. ISBN 978-1-898723-93-6. ↑ Stoker, Valerie (2011). "Madhva (1238-1317)". Internet Encyclopedia of Philosophy. Retrieved 2 November 2016. ↑ Bryant, Edwin (2007). Krishna : A Sourcebook (Chapter 15 by Deepak Sarma). Oxford University Press. pp. 358–359. ISBN 978-0195148923. 1 2 Chousalkar 1986, pp. 130-134. 1 2 Wadia 1956, p. 64-65. ↑ Collins 2000, pp. 197–198. ↑ Keith 2007, pp. 602-603. 1 2 Sharma 1985, p. 20. 1 2 Müller 1900, p. lvii. ↑ Muller 1899, p. 204. 1 2 Deussen, Bedekar & Palsule (tr.) 1997, pp. 558-59. ↑ Müller 1900, p. lviii. ↑ Deussen, Bedekar & Palsule (tr.) 1997, pp. 558-559. ↑ Deussen, Bedekar & Palsule (tr.) 1997, pp. 915-916. ↑ Zastoupil, L (2010). Rammohun Roy and the Making of Victorian Britain,By Lynn Zastoupil. ISBN 9780230111493. Retrieved 1 June 2014. ↑ "The Upanishads, Part 1, by Max Müller". ↑ Deussen, Bedekar & Palsule (tr.) 1997. ↑ Schopenhauer & Payne 2000, p. 395. ↑ Schopenhauer & Payne 2000, p. 397. ↑ Herman Wayne Tull (1989). The Vedic Origins of Karma: Cosmos as Man in Ancient Indian Myth and Ritual. State University of New York Press. pp. 14–15. ISBN 978-0-7914-0094-4. ↑ Klaus G. Witz (1998). The Supreme Wisdom of the Upaniṣads: An Introduction. Motilal Banarsidass. pp. 35–44. ISBN 978-81-208-1573-5. ↑ Versluis 1993, pp. 69, 76, 95. 106–110. ↑ Easwaran 2007, p. 9. Nakamura, Hajime (2004), A history of early Vedānta philosophy, Volume 2, Trevor Leggett, Motilal Banarsidass Publ. Smith, Huston (1995). The Illustrated World’s Religions: A Guide to Our Wisdom Traditions. New York: Labyrinth Publishing. ISBN 0-06-067453-9.